"I'm not an economic priest. My bookstore is not a confessional. I'm tired of handing out 'Hail Locals' to guilt-riddled shoppers. If you bought a Kindle as your sole reading device, you have cut out your local bookstore when there are options for e-readers that don’t eliminate indies. It's your choice, but don't come whining to me that you really want to shop local, but you have to be 'smart about your money.' I agree, you should be smart about your money. You should know that local businesses hand out thousands of dollars worth of donations and items to schools, organizations, and clubs throughout your community every year. Maybe shopping local isn't a priority for you. Fine. Talk to Amazon about donating a silent auction item for your son's school trip to D.C. and ask for a discount on books purchased for your school district. I’m sure Wal-Mart would sell your dance recital tickets or put a bucket on the counter for summer camp applications. Maybe Costco will supply the food for a fund-raiser, but I doubt it." 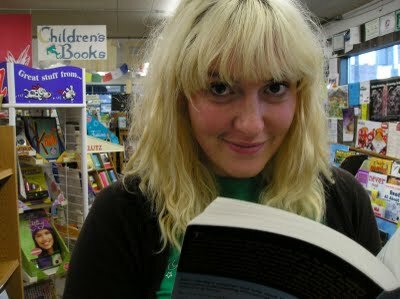 --Mara Lynn Luther of Chapter One Book Store, Hamilton, Mont., in her Chapter One-ders blog post "Confessions of an Unapologetic Indie." Mother and daughter authors Lisa Oz (Us: Transforming Ourselves and the Relationships that Matter Most) and Daphne Oz (The Dorm Room Diet) were the featured speakers last week at the annual Working Women's Luncheon held at the Plaza Hotel in New York City, sponsored by CBS Radio Group, where they discussed the challenges of careers and family life. Lisa Oz's Us is just out in trade paperback; Daphne Oz will be one of five co-hosts on ABC Daytime's new food-themed talk show The Chew launching this fall. Pictured (l. to r.): Free Press v-p & editor-in-chief Dominick Anfuso; Lisa Oz; WCBS880am news anchor Pat Carroll, who moderated the event; Daphne Oz; Newmarket Press president & publisher Esther Margolis. A boost from the late Easter this year overcame rising fuel costs, resulting in strong retail sales for April, though some caution remained about future prospects. The 25 retailers tracked by Thomson Reuters showed an 8.9% sales gain for April at stores open more than a year, which was higher than the 8.2% analysts had predicted. It was the best performance since March 2010. 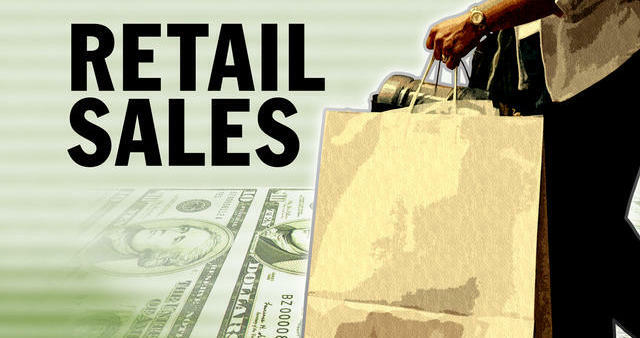 The Wall Street Journal reported that "combined March and April results rose 5.3%, the strongest result since November, Thomson Reuters analyst Jharonne Martis said, adding that about three-fifths of the retailers exceeded Wall Street estimates." The New York Times noted that Accenture's Chris Donnelly was positive but cautious: "It was expected to be a big jump--if you look at analyst expectations, and even the companies' own expectations, and frankly, some companies didn't jump as much as they were expected to do.... Everyone's pretty happy that April turned out so well, but looking forward, there's still a lot of concern." 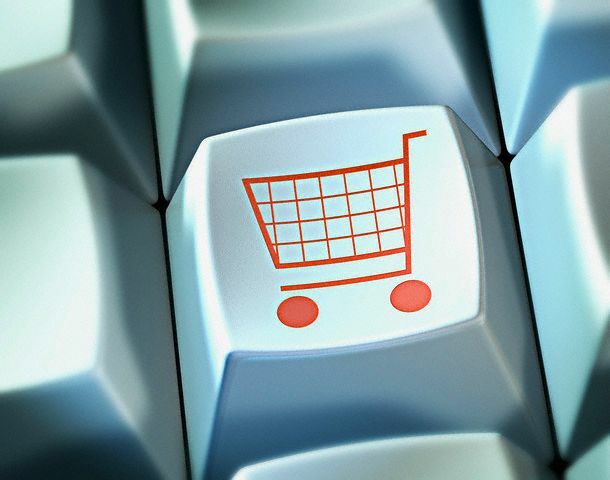 E-commerce sales were up 19.2%. SpendingPulse attributed the highest increase since July 2007 in part to rising gas prices. "When the national average price of gasoline exceeds $3.20 a gallon, that's when we start to see indications of behavior change," said Michael McNamara, v-p for research and analysis at SpendingPulse. "People pump fewer gallons, and drive less, and that tends to have impact on retail because people cut back on Saturday driving.... Almost in conjunction with the lower pumping numbers, we've seen acceleration of the e-commerce growth." Tomorrow is the 10th annual Free Comic Book Day, when participating comic book shops across North America and around the world give away comics to everyone who enters their stores. 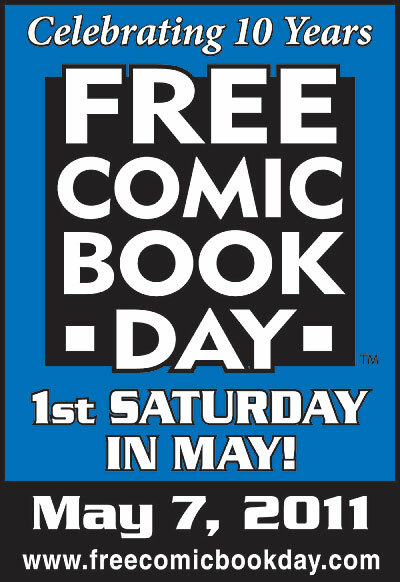 Brian Hibbs, owner of Comix Experience, San Francisco, Calif., told USA Today, "Free Comic Book Day is the greatest day of the year, without a doubt. To see so many smiling faces coming in and picking up comics and being happy, it's an awesome thing." Hibbs added that "80 to 90%" of the faces he sees on Free Comic Book Day are not his regulars, but "what happens, though, is it creates a positive image of comics and our comic shops in their minds. So the next time they're looking for a comic, they're much more likely to come back here than go someplace else." Books-A-Million will not be taking over the inventory of the closed Joseph-Beth Booksellers in Fredericksburg, Va., as originally announced. The Free Lance-Star reported that while Books-A-Million is still going to move into the Village at Towne Centre location, it was not able to negotiate a deal with Gordon Brothers, the liquidation company that purchased the store’s inventory when Joseph-Beth was put up for bankruptcy auction last month. "Unfortunately, they could not come to an agreement," said Joe Bell, spokesman for Cafaro Company, which owns the mall. "Therefore, Gordon Brothers has opted to conduct a liquidation sale, something we just learned about." 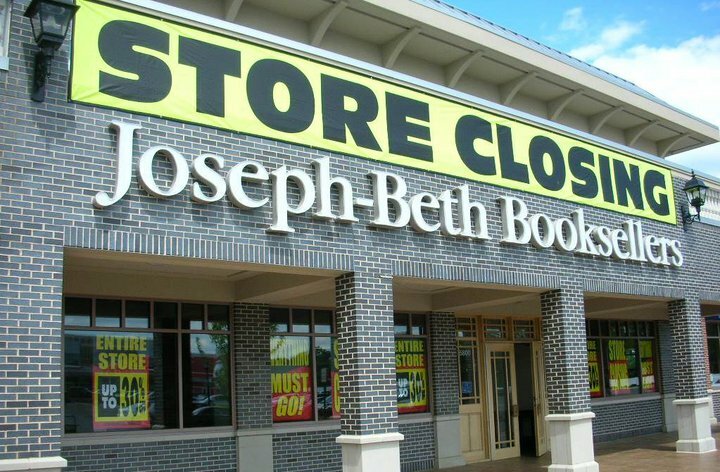 When the remaining inventory is sold, Cafaro, "which has a pending agreement with Books-A-Million, will turn over Joseph-Beth's space to Books-A-Million for minor renovations," the Free Lance-Star wrote. 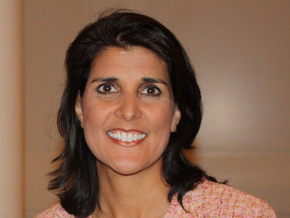 In a letter to South Carolina Governor Nikki Haley, ABA CEO Oren Teicher thanked her on behalf of ABA's member bookstores in the state for last week's House defeat of an online sales tax incentive for Amazon.com. "The hard truth, however, is that more needs to be done," Teicher wrote. "Our member booksellers are still working at an unfair competitive disadvantage to any number of remote, online retailers that, like Amazon.com, have broad networks of online affiliates acting as sales agents in the state." He called on the governor to support efforts in the state to "level the playing field for all Main Street retailers by clarifying existing South Carolina sales tax laws and requiring companies with broad networks of online affiliates to collect and remit sales tax to the state." Teicher concluded: "While Amazon.com might boast about the 1,200 jobs it would bring to the state, continued sales tax inequity in South Carolina will only erode the very in-state business environment that creates and sustains many more thousands of jobs. While online sales grow, propelled in part by consumers' incorrect belief that Internet purchases are tax-free, many Main Street businesses, which are obeying the law, have been forced to lay off workers or, even worse, to close their doors." Neil Gaiman received an apology from the Minnesota politician who called him a "pencil-necked little weasel" earlier this week (Shelf Awareness, May 5, 2011). 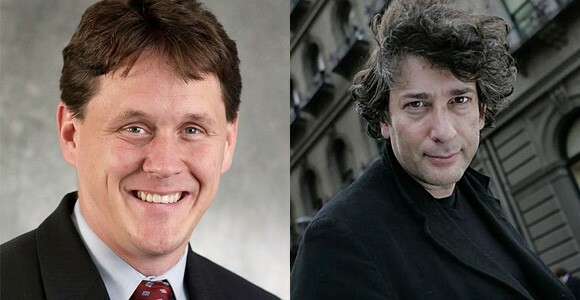 The New York Times reported that Rep. Matt Dean told Minnesota Public Radio his mother made him apologize to Gaiman: "She was very angry this morning and always taught me not to be a name caller. And I shouldn't have done it, and I apologize." 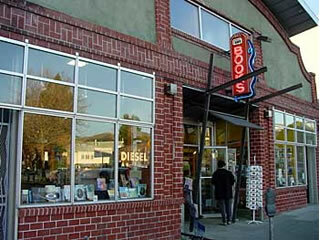 DIESEL, A Bookstore, Oakland, Calif., recently hosted a community discussion during which customers were invited to participate in a "dialogue about the worth, and the future, of independent bookstores." Participants also included booksellers, a journalist, a librarian and a book distributor, Bookselling This Week reported. "The customer support was strong and heartfelt," said co-owner John Evans. "Nearly everyone spoke, engaging with passion, thoughtfulness, and articulateness, the issues of the day. The meeting lasted about two hours, with hands up the whole time and could’ve gone longer.... It was one of those special, magical events independent bookstores somehow catalyze, where everyone is so intelligently and fully present and listening to each other." Jeremiah's Vanishing New York reported on the imminent demise of Atlantic Book Shop, "the second incarnation of 12th Street Books, which you may recall left Manhattan in the summer of 2008 when its lease was not renewed so that neighbor Strip House, a steakhouse chain restaurant, could expand. It was a favorite stop of mine, and I was upset to see it go, but it happily reopened as Atlantic Book Shop in the fall of that year in Cobble Hill, Brooklyn." While no closing date has been set, store manager Jed Hershon told Gothamist: "We'll see how the sale goes, but I doubt we'll make it. I'm probably going to end up selling on the street with the record guy in front of Trader Joe's for a few weeks." Hershon's dream would be to get Brooklyn Borough President Marty Markowitz involved: "What I think he should do is take a city building here in Brooklyn and give it to us and four or five other small booksellers. Together we'd turn it into Brooklyn's book destination! I need to get over to Marty's office and talk to him." Gothamist later provided an update in the form of a statement from Markowitz's office: "It’s unfortunate any time Brooklyn--the literary epicenter of New York City and home to the renowned Brooklyn Book Festival--loses one of its indie book stores or any of its 'mom and pop' businesses. We welcome Mr. Hershon contacting our office to discuss his ideas and to see if we can assist in any way." Bookselling This Week featured a q&a with author Laurie Halse Anderson, who spoke with ABFFE President Chris Finan about her role as this year's honorary chair of the ABC Children's Group Silent Auction at BEA, as well as "the challenges to her books and the effects these have had on her, on kids, and on other writers." Anderson said her role as auction chair "combines several of my passions: children's literature, freedom of expression, independent booksellers, and art. Does it get any better than that? No, it doesn't! When my books have been censored, I've been supported by all aspects of the publishing community. I want to make sure that other authors and illustrators (and teachers and librarians!) who have to deal with censorship attempts feel that same level of support and care." The owners of Books & More, Madison, S.Dak., have tentatively set August 1 as the closing date for their bookshop, the Daily Leader reported. Co-owner Terri Bourne cited economic reasons for the decision. "It's really rather sad that we've had to do this," she said. "We've always viewed Madison as a really nice town to operate in. Part of the difficulty has come from an overall change in shopping habits. A lot of retail outlets in downtown areas are struggling in the current economy." 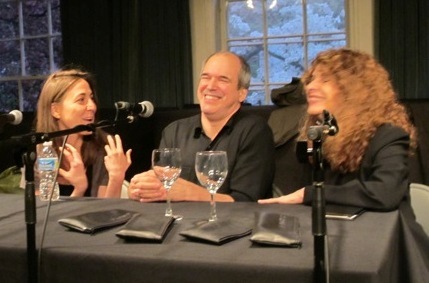 At last week's PEN World Voices panel, Rebecca Stead (When You Reach Me ), Peter Lerangis (Smiler's Bones) and Gioconda Belli (The Country Under My Skin) engaged in a lively discussion of the influences on their writing processes. You can see a video of the conversation here. Filmmaker and author John Sayles is hitting the road in a rented Toyota Prius for a DIY book tour promoting his new novel A Moment in the Sun, the Philadelphia Inquirer reported. "I'm looking forward to it," he said. "A reading is like theater, an immediate connection with people. And I love the idea of doing only libraries and independent bookstores. Maggie [Renzi] and I like to take long road trips. We'll have five to eight hours of driving a day, more in Texas." Oprah Winfrey recommended 16 Books to Watch for in May. For NPR's Three Books series, Rae Meadows, author of Mothers and Daughters, shared her choices for books about moms who make your mothering seem perfect, noting that "motherhood is complicated, at times baffling. These three books about mothers with daughters made me feel I was not alone in my bewilderment, and perhaps I was even doing better than I thought." Flavorwire offered a peek inside famous writers' homes. The Family Corleone, an "all-new prequel" to the late Mario Puzo's bestseller The Godfather, will be published by Grand Central in June 2012. Jacket Copy reported that the task of bringing the story, based on an unproduced screenplay written by Puzo, to life was given to author Ed Falco, who "grew up Catholic in Brooklyn; his writing has dealt with violence; the Virginia Tech shooter, who killed 32 people in 2007, was one of his students. And on the more frivolous side, he is the uncle of actress Edie Falco, who starred in the modern-day mafia hit The Sopranos." Falco's previous work includes novels St. John of the Five Boroughs, Wolf Point and a story collection, Sabbath Night in the Church of the Piranha--all from Unbridled Books--as well as and his most recent book, Burning Man: Stories (SMU Press). For your weekend viewing pleasure: Jean Paul Sartre meets Star Wars. The classic sci-fi movie gets a "French existentialist twist." Book trailer of the day: The Meowmorphosis by Franz Kafka and Cook Coleridge (Quirk Classics). Opening line: "One morning, as Gregor Samsa was waking up from anxious dreams, he discovered that he had been changed into an adorable kitten." Oh the horror. ScrollMotion and Smashwords will join forces to create individual mobile applications for Smashword’s Premium Catalog of more than 30,000 original e-books for a variety of platforms, including Apple iOS, Android, Windows Phone 7 and WebOS. Through the partnership, ScrollMotion will create, promote, merchandise and distribute Smashwords e-books as mobile apps across multiple application marketplaces such as Apple's App Store, the Android Market and the HP App Catalog. Lauren Flower has joined HarperCollins Children's Books as director of integrated marketing. She had spent eight years at Random House Children's Books New Media, where she was most recently senior manager, new media marketing. Tomorrow on NPR's Weekend Edition: Bill James, author of Popular Crime: Reflections on the Celebration of Violence (Scribner, $30, 9781416552734). Sunday on CBS Sunday Morning: Martin Seligman, author of Flourish: A Visionary New Understanding of Happiness and Well-being (Free Press, $26, 9781439190753). 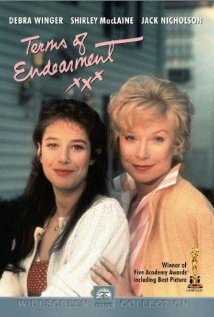 Word & Film sifted "through the endless lists of movies featuring quirky, power-house mothers" to put together "a lean list" of picks that "number among our favorites, and share the distinction of undergoing a successful page-to-screen transition, in our humble opinions." Lionsgate and director Gary Ross have cast Wes Bentley (American Beauty) as Seneca Crane in the film adaptation of The Hunger Games by Suzanne Collins. Jennifer Lawrence, Josh Hutcherson and Liam Hemsworth are already in the movie, and Deadline.com reported that "rumored participants include John C. Reilly, as District 12's only living past winner and current drunk Haymitch." Burton Freeman for My Own Book, New York, N.Y., which brings children from inner-city schools to a bookstore and helps them purchase $50 worth of books to start and build their own personal libraries. Kore Press, Tucson, Ariz., a community of literary activists dedicated to engaging the public through several visionary, creative writing projects. Electric Literature/Electric Publisher, Brooklyn, N.Y., a quarterly journal and "upstart publishing company" with a mission to use new media and innovative distribution to keep storytelling a vital force in popular culture. YARN, the Young Adult Review Network, Weston, Mass., an independent online literary journal dedicated to YA literature that includes work by teens alongside established writers and emerging adult writers. For more information on the awards and winners, go to the Foundation's website. Trevor Cole's novel Practical Jean won the $15,000 Stephen Leacock Medal for Humor, besting a shortlist that included Toby: A Man by Todd Babiak, The High Road by Terry Fallis, Half Empty by David Rakoff and How to do Everything by Red Green. Previous winners of the prize, which has been awarded since 1947 "to help perpetuate comic writing in Canada," include Mordecai Richler and Robertson Davies, the National Post reported. 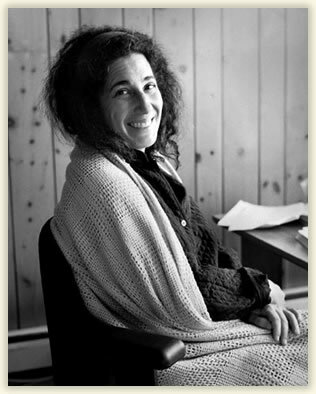 Danielle Sosin is the author of the story collection Garden Primitives (Coffee House Press, 2000). 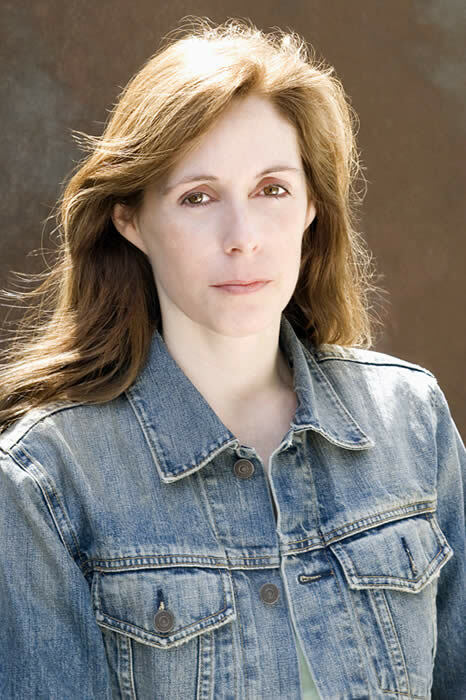 Her fiction has been featured in the Alaska Quarterly Review and on National Public Radio. She lives in Duluth, Minn. 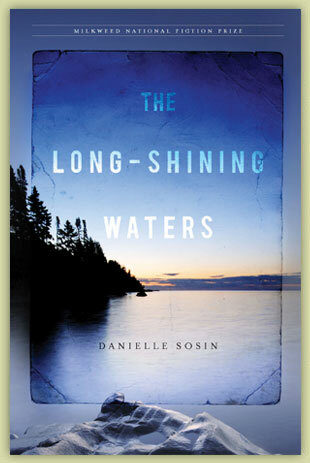 The Long-Shining Waters (Milkweed Editions, May 10, 2011) is her first novel. Tinkers by Paul Harding (my second time through); North of the Port, stories by Anthony Bukoski; Billions and Billions by Carl Sagan; Openwork by Adria Bernardi; Suite Française by Irene Nemirovsky; Recovering the Sacred by Winona LaDuke; and a number of John Scheepers seed catalogues. My favorites were the Babar books by Laurent de Brunhoff, but my love for them wasn't so much about the stories. It was the pictures inside the book covers. Each book opened to a colored background, a sort of mottled red, or orange, yellow, blue--and a long line of elephants. The elephants formed a line by holding each other's tails in their trunks. The line twisted and turned down the page, with the smallest elephants at the top and successively larger ones marching to the bottom. I was all about that elephant parade. Without assigning an order I'd say: Annie Dillard, Virginia Woolf, Marilynne Robinson, Michael Ondaatje, Herman Melville, Toni Morrison, Paul Bowles.... Oops. Did you say five? I can't say I've ever faked reading a book (I don't believe in faking), but there are many that I've put down. In a lot of cases putting a book down is not a problem for me, but there have been books that I felt I should make it through, books I wanted to love. For example, William H. Gass's The Tunnel. Housekeeping by Marilynne Robinson. It's one of my all-time favorite novels. I can't think of a single one. I'm sure I've picked up plenty of books for the cover, but I always read the beginning of the book. Virginia Woolf's To the Lighthouse. I was thrilled when I first read her and realized that that territory of inner life, observation, and minutiae could be made into great art and compelling reading. Her work is inspirational. "Tut-tut it looks like rain." --A.A. Milne, The World of Pooh. The book I just wrote. Imagine getting to read your own work as if you'd never seen it before, as if you didn't know the history of every revision, and all the things between the lines that you think/hope are there. Dang, you could learn so much. 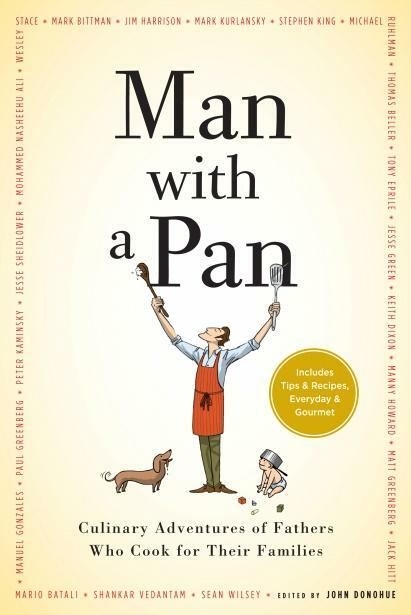 John Donohue has combined 21 writers and chefs, 13 "civilians," 21 New Yorker cartoons, to get a tasty mix of more than 60 recipes, cookbook recommendations and 34 sweet, funny stories about men cooking. Mark Bittman talks about parenthood and the necessities of daily life that taught him to cook. Shankar Vedantam reminisces about a potato dish a departed aunt made for him, and his search to replicate the dish for his daughter. Jim Harrison, delightfully opinionated, proclaims, "Currently the overuse of rosemary among bad cooks in America must be viewed as a capital crime." Omar Valenzuela, a Brooklyn carpenter, keeps the fact that he does most of the cooking a secret from his construction crews, but says, "Good cooking, I have learned, is the secret to a happy marriage." Stephen King says he has never cared much for cooking, but enjoys frying ("You can call it sautéing if it makes you feel better--but it's really just educated frying. "), and says the key is to turn down the heat and show some patience--no splatters, no smoke detectors blaring: "Be gentle is the rule I try to follow. I can respect the food even if I'm not especially crazy about cooking it (mostly because I can never find the right goddamn pan or pot, and even if I can find the pot, I can't find the goddamn cover, and where the hell did those olives go--they were right on the bottom shelf in a Tupperware, goddamn it)." He follows his rule of gentleness with instructions for making a really good omelet, which works quite well (yes, we tested), and ends with, "If you want to flip it, you're either an acrobat or an idiot." "In some people, the habit of nurture is the last thing to go. In others, it is the habit of being nurtured that persists. I was reminded of this when my partner recently learned that he would need to have a hernia repaired. I panicked. It was minor surgery, to be sure, but nevertheless it provided an opportunity for him to engage in several days of Percocet and licensed malingering. It was therefore likely to derail the gravy train of meals Andy provided daily for me and our two boys. How would we survive his absence from the kitchen?" Survive they did, because Andy prepared meals ahead. "If you put dinner on the table, though, you are--as our older boy sometimes exclaims when he sees Andy's bubbly mac and cheese emerge from the oven--the man." Happily, the mac and cheese recipe follows, along with Jesse's Spinach and Rice Torta. What do you think is the most complicated part of writing about parents? Was it hard to transition from romance to women's fiction? Do you begin thinking of your next book while still working on your current one? I know two writers--both obsessed with their Amazon numbers--are you? I know publishers are concerned with e-books; as an author, are you worried? These were some of the questions readers asked Barbara Delinsky, who was the guest on Monday night's live BookMovement Author Chat, talking primarily about her novel Not My Daughter. I liked the range of comments, as well as the genuine curiosity about an author's works and working habits. Host--and BookMovement president--Pauline Hubert had some great questions of her own, and the hour-long discussion covered a lot of ground. Delinsky even shared photos of her office, confessing to fans: "I cleaned it just for you!" When those of us in the book trade are not reading or writing about books, we're often talking about them. We get spoiled... or jaded, depending on the day and our mood. In a couple of weeks, when we invade Manhattan for BEA, the book noise decibels will spike to measurable levels at the Javits Center. Sometimes I have to remind myself that most readers are not immersed in book talk all day; that one of the primary reasons book groups were born decades ago and have become such an important component of readers' lives--not to mention the publishing industry--is that book people must seek each other out. At the Books on the Nightstand Readers' Retreat last month, people came from all over the planet to a small Vermont town to meet authors and talk books. 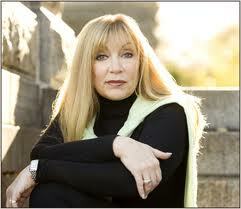 On Monday night, a bestselling author spent an hour in live, online conversation with book group members. What they have in common is a love, bordering on obsession, with reading, and we all understand that. Here's something that occurred to me as I monitored (also known, I realize, as "lurking") the BookMovement chat: What if a small indie bookstore somewhere in the country--a shop that would never have a chance of scheduling a Barbara Delinsky event--had instead taken advantage of BookMovement's webcast and invited all area book groups to an in-store event, with refreshments and, of course, a display of Delinsky's books, creating the opportunity to actively participate in that conversation? I like to think this was happening Monday night, somewhere out there, and will happen again next time. BookMovement has also hosted live author chats with Anna Quindlen and Randy Susan Myers, as well as the first one last fall with M.J. Rose, which has been replayed 125,542 times. The next live author chat will be with Ellen Sussman, discussing French Lessons, and is planned for July. "We've had some wonderful suggestions and responses from book clubs about how they would like to incorporate these chats into their book club plans," said Rose, who also serves as marketing v-p for BookMovement. "Cecilia from the Decatur, Tex., Public Library asked how she could put the chat up on a TV screen so her library could schedule a get-together; Carrie from Berlin, Conn., suggested we set up later chats so readers could participate after work--which we did with Barbara Delinsky; and another e-mail suggested we announce these chats further in advance so book clubs have a chance to make the book their book selection." 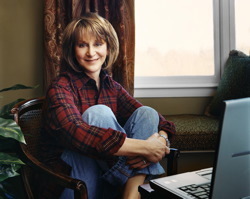 BookMovement was started by Pauline Hubert in 2001 and now has more than 29,000 registered book clubs (as of March 2011), representing 290,000 readers. She said she considers herself "an advocate for book clubs and from what they have been telling me, they want to hear from authors they normally don’t get to have a conversation with. It’s one thing to see an interview on television or in print, but it’s quite another thrill to be able to talk about the unspoken challenges of motherhood with Anna Quindlen, as we did when we spoke about her novel Every Last One (and with Barbara Delinsky as well). These chats are a way for clubs to be able to have conversations with these authors, not just sound bites. And so far, the authors have really loved it--as have the clubs. I think we’ve been able to have some insightful conversations that help book clubs get to know the book and the author in a new way." As indie booksellers find it increasingly difficult to place themselves on author tour itineraries, options like BookMovement's live chats provide an inviting opportunity to play matchmaker between writers and local book group members who would love to ask--as someone did Monday night--questions like: Did you come up with the title for this book before it was written or did it come from its pages? Delinsky's answer turned out to be a revealing glimpse behind the publishing curtain.